Why the tiny score pads in the Canadian Edition? How do you settle a game that ends in a tie score? What day is a good day to find players online? Can a Wizard be played "at any time" to win a trick or must it be the player's turn to play? When a Wizard is led do players have to follow the suit of the next card played? When a Jester is led does the next card played become trump or what? How can I organize a local Wizard tournament? What is the significance of the 'grapes', 'bee', 'sun' and 'seahorse' on the Wizard cards? Can Wizard be played by just two players? How can players keep track of what their bid was? 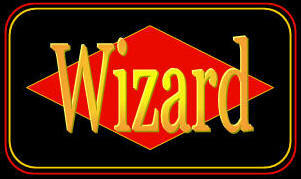 Can Wizard be played on the Internet? When a Wizard is turned up can the dealer examine his cards before making the choice of suit to be trump? What happens when I "break"? How do I get my own picture under my name? Ermm... I seem to have forgotten my password? How would I go about searching the board? Can you please explain the BB code to me? Can you please explain the User Ranks to me?